Menopause has perhaps unfairly been represented as a time when weight gain is inevitable. This is not, however, quite accurate if you look at the different studies on how your body changes during the menopausal transition. Your body composition will likely change but this does not mean you can't take action to maintain or even improve your health and body. When a woman begins her menopausal transition, her body composition tends to change. This happens with age for men as well and occurs even throughout the thirties and forties. The percentage of body fat typically goes up and muscle mass goes down. Even though your weight on the scale may be exactly the same, your body composition will be changing. These changes do occur to some degree with age and with the changes in hormonal levels. But much of the changes also relate to decreased physical activity and an unhealthy change in diet. As muscle mass decreases, a woman's metabolism similarly decreases and weight gain can occur. Where the weight gain is around the midsection, a woman can be at a higher risk of cardiovascular disease. This makes it more important than ever to partake in regular exercise and a healthy, balanced diet throughout your transition and during your post-menopausal years. One of the problems around menopause and body composition is that most research into weight loss and health benefits from exercise focus on much younger women. Fortunately, more recent studies are examining how exercise can benefit post-menopausal women. The lowered oestrogen that occurs from menopause has meant that researchers were not sure just how well diet and exercise would work to keep women healthy and fit. The lowered aerobic capacity and lean body mass are also factors that make it important to study how exercise affects post-menopausal women. The good news is that researchers who looked at the effects of exercise in post-menopausal women found that they were able to reap similar benefits from regular exercise as younger women. The study found that older women responded much like younger women when they participated in regular, vigorous exercise. One study that had women exercising regularly and intensely found that on average, women lost two dress sizes while reducing body fat and increasing muscle mass. It is very positive news because it suggests that if you engage in moderate to high intensity exercise on a regular basis, you can influence your body composition to some degree. You can also reduce your risk of obesity related diseases. While diet still plays a role, the results show that significantly reducing caloric intake is likely not necessary and that regular, vigorous exercise can make a major difference. 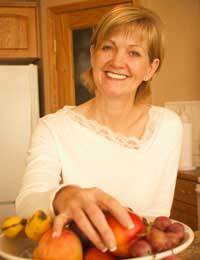 It is also important to keep a realistic body image both during and after menopause. Your body changes throughout your life and trying to attain the body you had in your twenties, for instance, is unrealistic. While many women focus more on inner growth and general physical health during this time, others may struggle with the changes in their body and can develop eating disorders during these years. Ensuring you get regular checkups with your family doctor is important. This will help you to maintain a normal weight and encourage you to find the best eating and exercise habits for life. Menopause brings many changes and it can feel more challenging to maintain good health and a healthy body composition. Fortunately, it seems that post-menopausal women can still achieve a normal body composition and comparable benefits to younger women if they exercise regularly and eat a healthy diet.